A few days ago I gave a restaurant's sad "local greens" salad a vigorous thumbs down*. Now, I've told people for years not to bring me problems without also bringing solutions so I supposed I'd best practice what I pontificate. Here are just a few items that might have improved the 12-ish dollar sadness bowl at Talisker on Main or anywhere 12-ish dollar sadness reigns. 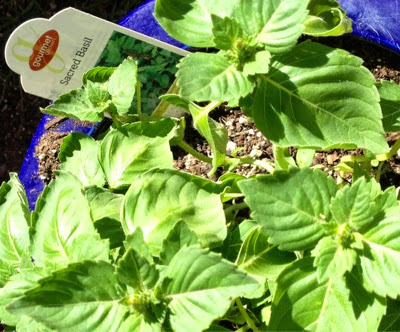 1) Sacred Basil (a.k.a. Holy Basil, Thai Basil): This spicy plant is some of what you love if you love Thai cooking, and its distinctive clove and lemon notes would be a welcome addition to a variety of salads. Try it with tomatoes or even with with sweet basil to mix up your garden mix salad. Like all of the fixins I'm mentioning here, it's great right off of the plant, too. 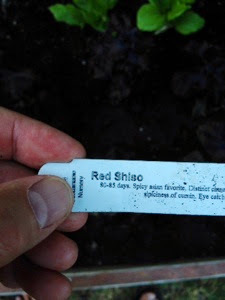 2) Red Shiso: Another distinctly-flavored leaf, red shiso brings cinnamon-y spice and some color to your green mix. Try it with strawberries or a sweeter vinaigrette. With subtle flavors that can go savory too, this is a treat from the garden. 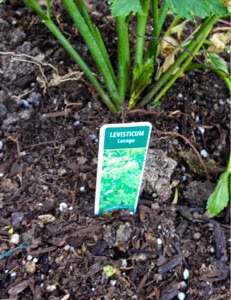 3) Lovage (Levisticum Officinale): This bold leaf will give your salad the great taste of celery without the strings. Of course, it won't give you the celery crunch either, but the flavor is remarkably similar to its cousin. 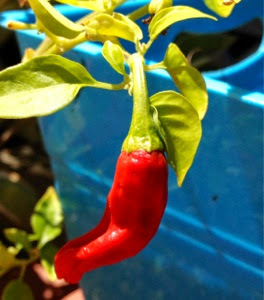 4) Shishito Peppers: One in every ten peppers is hot. Take a chance on these tasty sweet peppers to liven up a dish! These are just some suggestions. As these examples show, it's not hard to find interesting greens to help justify your pricy produce presentation. 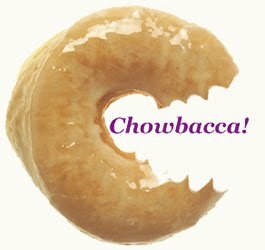 We've grown many other great salad fixins here at Chowbacca! 's SoCal Lab (how 'bout that culantro? How 'bout them multiple varieties of kale? 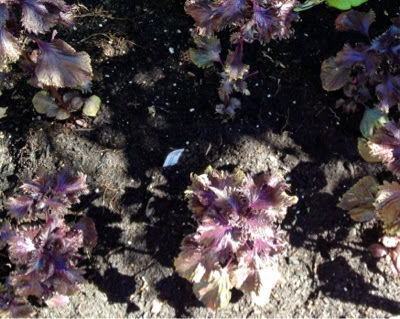 **) and will continue to mix it up to avoid those "handful of despondent arrow leaf lettuces" blues. In fact, there are a wide variety of salad greens to be grown too, and I'll get into those another day. *Yeah, that salad still pisses me off. **We're currently growing four types of kale: Curly Leaf, Lacinato (dinosaur), Red Russian, and Redbor. 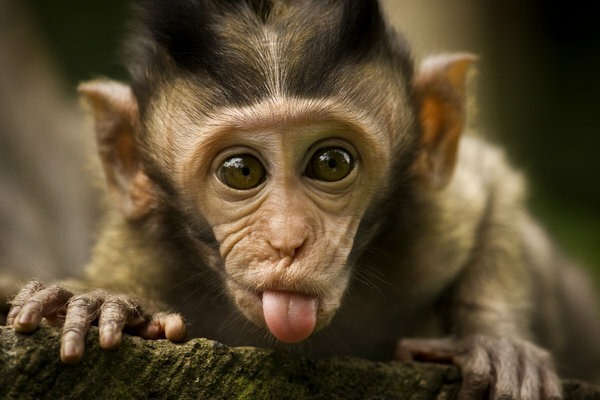 So, mleh.